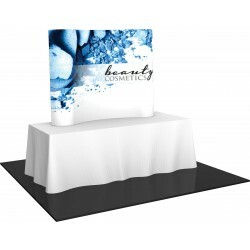 Formulate Essentials Tension Fabric Table Top Displays are economical aluminum tube frame displays with stretch fabric pillowcase style graphics. 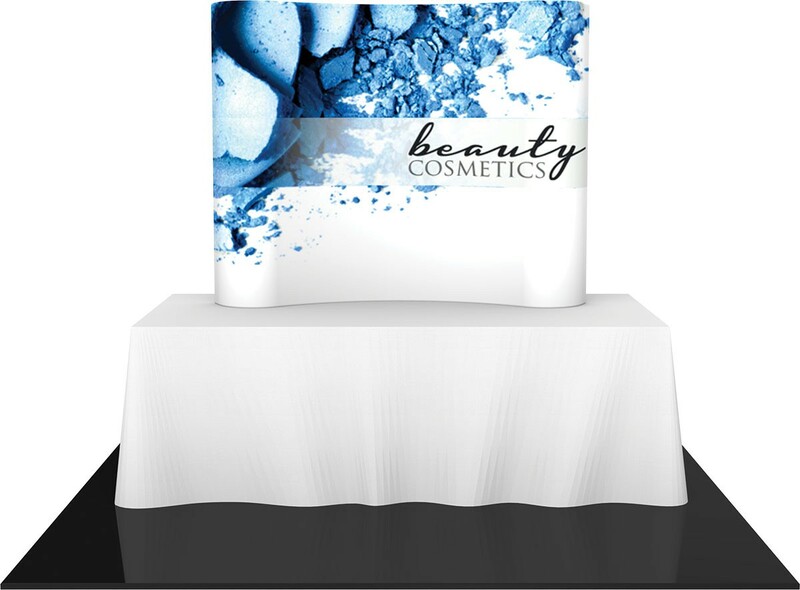 The Formulate Essentials Horizontal Curve tension fabric table top display has a visible graphic size of 73" x 61.75". 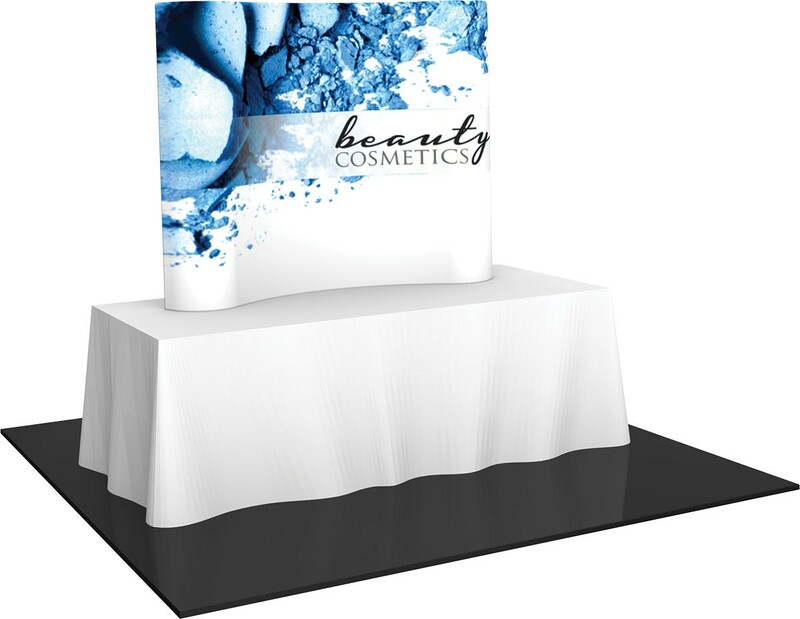 Formulate Essentials Tension Fabric Table Top Displays are economical aluminum tube frame displays with stretch fabric pillowcase style graphics. The Formulate Essentials displays assemble easily with bungee connected poles and snap button connections so the entire display can be assembled in minutes without any tools. Installing a graphic is as simple as pulling the pillowcase graphic over the frame and zipping it closed. This style of tension fabric display is our favorite because it does an excellent job of pulling the graphic tight and eliminating wrinkles without the connection to the display showing like it does with velcro attached fabric. 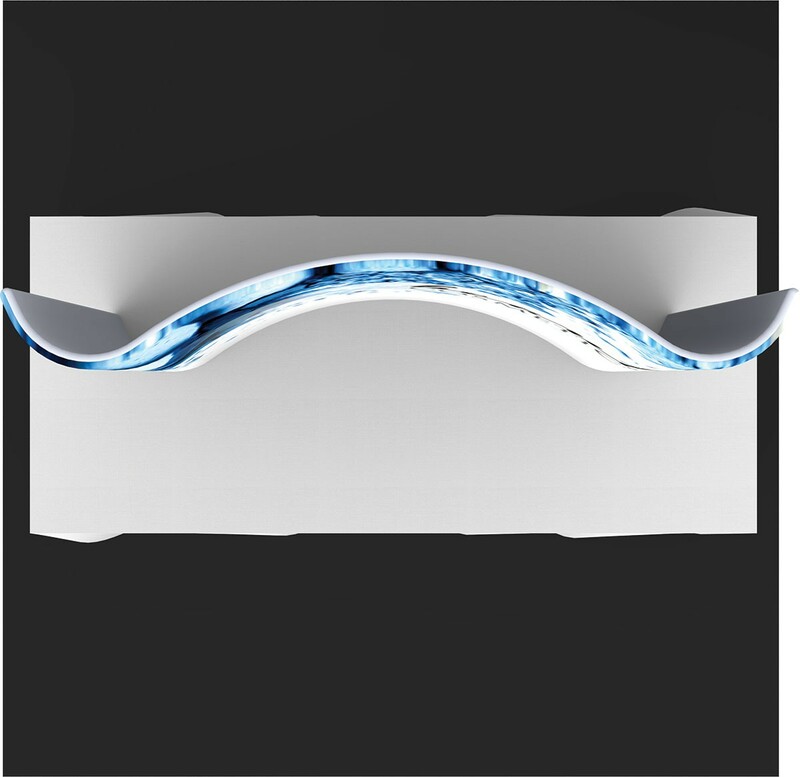 The tube frame features rounded corners for a modern look, and breaks down into a compact size for easy shipping and storage. Formulate Essentials table top displays come with a canvas carry bag. 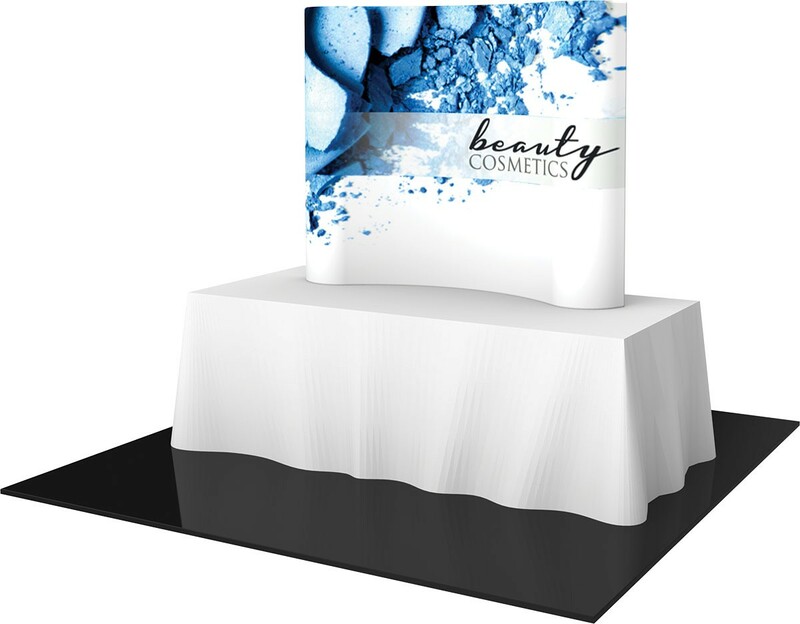 The Formulate Essentials Horizontal Curve tension fabric table top display has a visible graphic size of 73" x 61.75". This display was redesigned as of May, 2017 by curving the end caps to allow the frame to stand on it's own without the need for support legs. This made for a less expensive display that also takes up less space on the table. The Vector Frame table top displays are a higher end tension fabric display that have an aluminum frame with silicone edge style stretch fabric graphic. The Vector Frame table top displays come in configurations with different options such as literature pockets, wing graphic shapes and table tops. The HopUp is our least expensive tension fabric table top display. A hard shipping case is a good idea when traveling with any display. 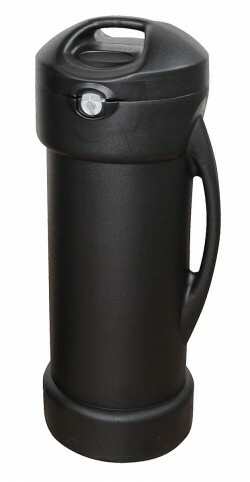 The Small Molded Shipping Case is the recommended model, and it can be found in the Related Products tab. Visible graphic size: 73" x 61.75"
Shipping size: 33" x 10" x 10"